A mix of red and white oak, along with the hit-skip face planing gives this floor a playful mixture of different tones. Oak was always the rural barn builders choice for strength in framing large structures. Now you can enjoy its qualities in your home. 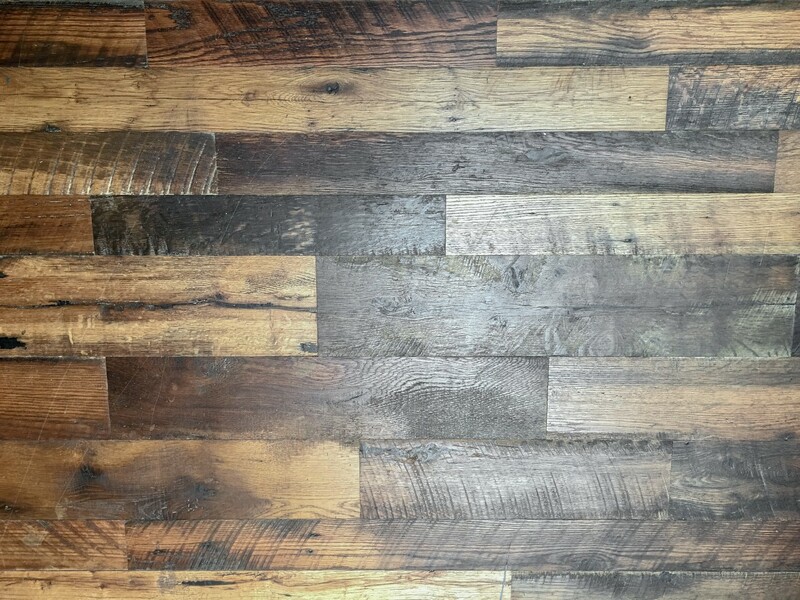 Reclaimed Oak Hit-Skip is 100% Recycled and eligible for LEED credits. We love our floors! They are one of the favorite features of our remodel. They look beautiful and are one of the biggest design features that we receive compliments on.